I'm not sure why I went with a pop of red on this card. I think I was thinking of God's love being poured out upon the newly baptised. But it seems to work, don't you think? I'm sorry to bring you a retired product as the main element of this. 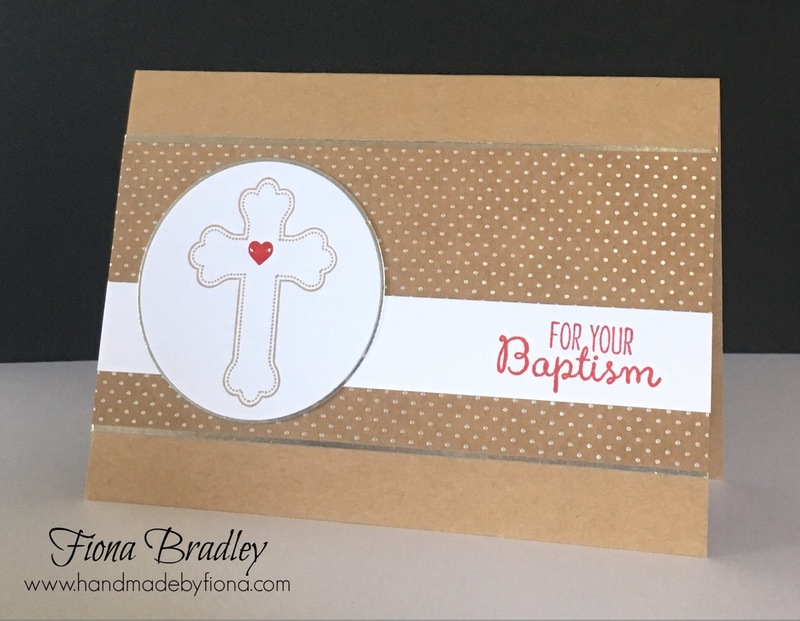 One of the fun aspects of card making, for me, is the challenge of "modernising" a design I've come across and love but which has retired products. Choosing current products changes up the design and allows me to have my own creative input into the base design. Why not give that a go with this card and see what you can come up with by using different patterned paper?